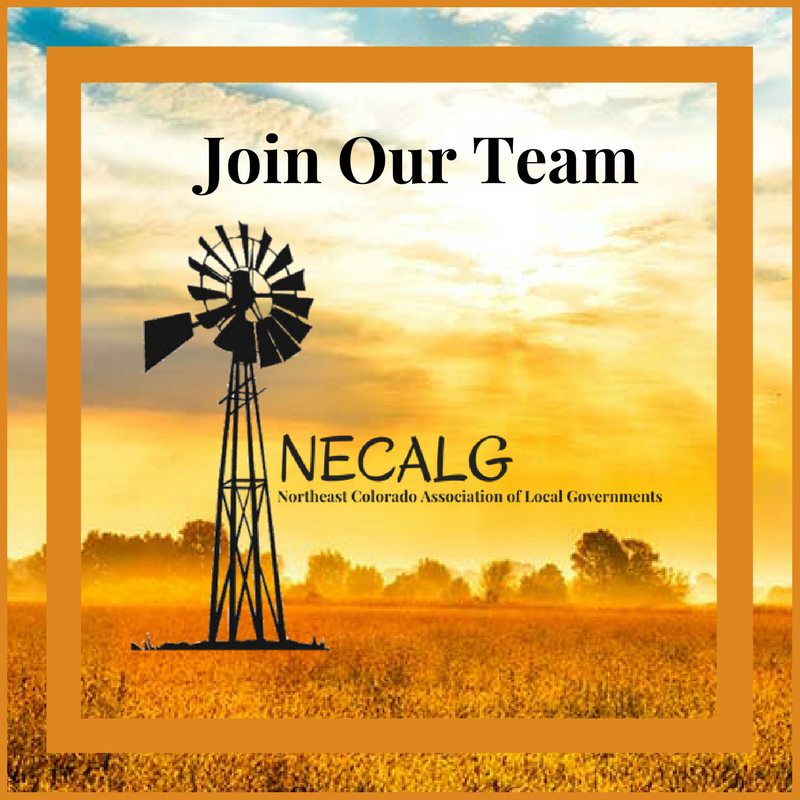 NOW HIRING a Case Manager for the Single Entry Point Program at Northeast Colorado Association of Local Governments in Fort Morgan, CO. 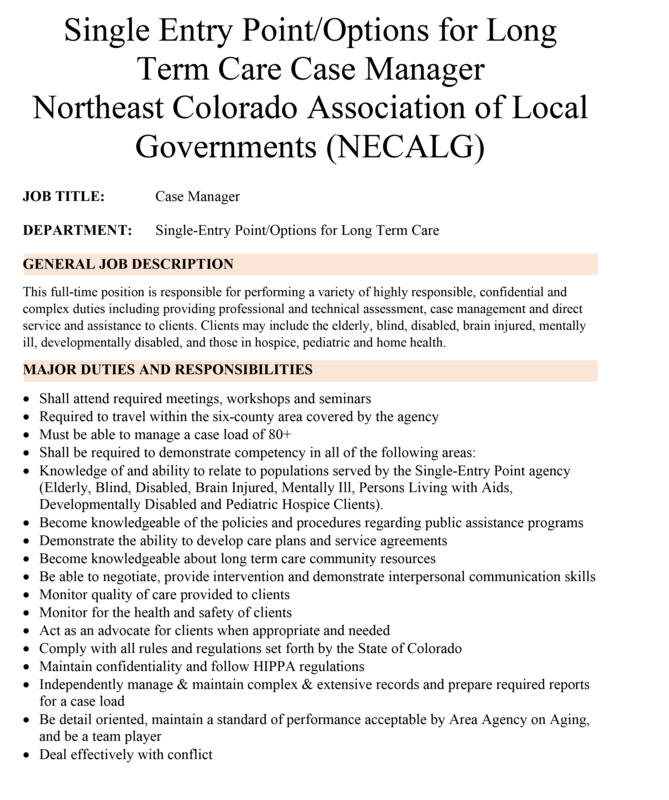 This full-time position has a starting wage of $16.78 per hour dependent on experience. Applicants MUST have valid drivers’ license and be able to pass a background check and drug screen.